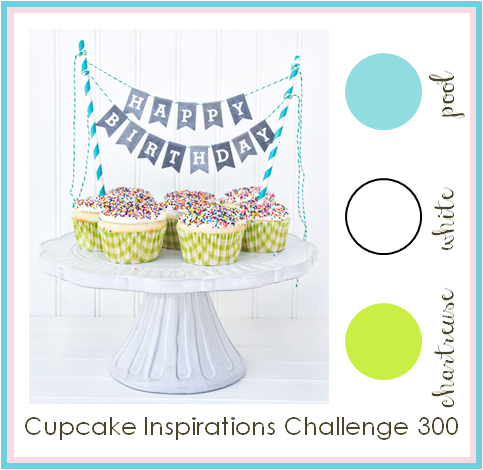 Today is the start of the 2nd challenge over at Cupcake Inspirations and it is a Color Challenge! If you can only play in one of the challenges this is the one!! Deedee's Digis is part of the prize package and you can win a $25.00 gift code to Deedee's Digis along with a TON of other prizes. Seriously check out the prizes associated with each challenge....AMAZING!! Now it's almost cheating using a pre-colored stamp in those colors but I was okay with it!! 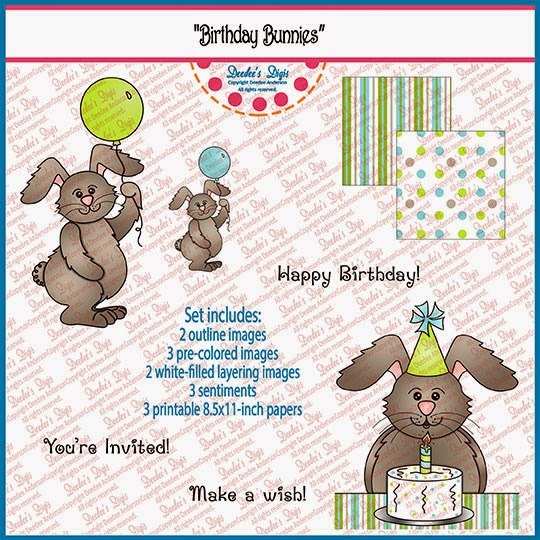 I need a card for my 4 year niece's birthday coming up and I thought the rabbit was perfect! So even if you only have 30 minutes to craft.... get this digi and make a cute card to enter the challenge! You have till March 14th to enter the challenges. Kathy this is such a sweet young girl's card. I love everything about it. This set is so cute. OMGoodness, cute, cute, cute! I love the bunny! Adorable card! Indeed this is a perfect match!